If you have Saturn in Aquarius, you possess practical common sense, self-discipline and inner sources of strength which provide stamina. Although humane in nature with a friendly and sympathetic disposition, you may have difficulty in understanding other people’s goals. You need to learn tolerance for other people and must develop forgiveness. You have the ability to exercise system, organization, discipline and tact in unusual and non- traditional ways. You can think ahead and plan things with an inventive flair. Seeing things in a whole new way is one of your strengths. You tendency is to be serious, impersonal, detached and scientific. On the negative side you can be opinionated, vindictive, cold and uncaring with a tendency to get quite aggravated if your plans are met with opposition. Saturn in Aquarius is in a strong position, since with Uranus it is a co-ruler of Aquarius. Saturn’s test in Aquarius is to grow in openness and fairness to all: to be responsible for an awareness of the brotherhood of all mankind. You will be frequently asked to put your own personality aside, and to be representative of a larger and more universal consciousness. 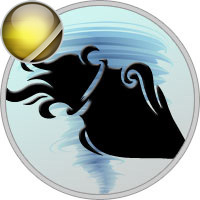 When Saturn is unafflicted here, you can be strong, impersonal, just, scientific, and universal in outlook. If afflicted, you may have to work on not being cold, unloving or opinionated, and would tend to resent being told anything that wasn’t to your liking. It’s important that you keep your circulation flowing with this position. Saturn returns to each sign once every 29 or 30 years for about a three-year stay. Saturn was in Aquarius from 2/1932 to 2/1935, from 1/1962 to 12/1964, and from 2/1991 to 1/1994. Saturn will again be in Aquarius from December 17, 2020 (after a brief sojourn there from March 21 to July 1, 2020) through March 7, 2023.